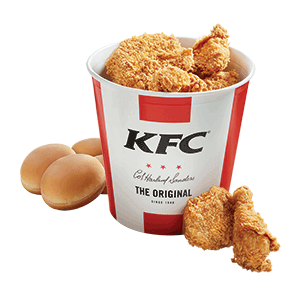 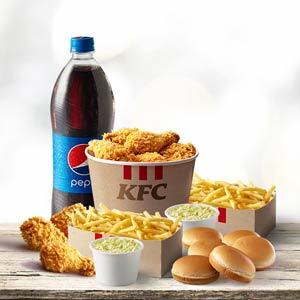 15pc Bucket + 5 Strips + Lrg Fries + Lrg Coleslaw+ 2 Dips + 5 Buns + 2.25L Pepsi. 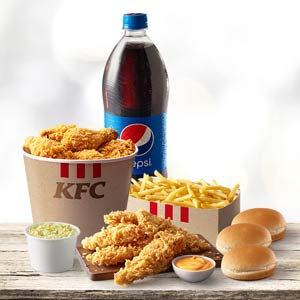 21pc Bucket + 7 Strips + 2 Lrg Fries + 2 Lrg Coleslaw+ 2 Dips + 7 Buns + 2.25L Pepsi. 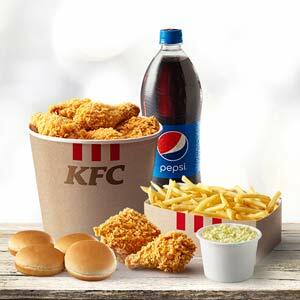 21 chicken pcs., 2 family size coleslaw, 2 family size fries, 7 buns & 2.25 liters drink. 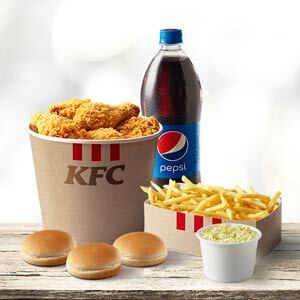 9 chicken pcs., family size coleslaw, family size fries, 3 buns & 1 liter drink. 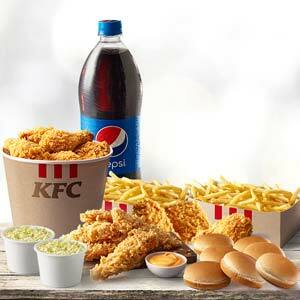 15 chicken pcs., family size coleslaw, family size fries, 5 buns & 2.25 liters drink.